Teresa is responsible for the overall operations of the Arkansas Properties for Canyon View Properties (CVP). With over 20+ years of solid property management experience, Teresa joined CVP in 2008 upon our acquisition of The Crossings (Hot Springs, AR), as Property Manager, where she consistently performed in the top percentile. 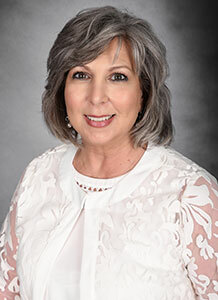 She obtained her degree in Business Administration from Louisiana Tech University and began her career in the multifamily industry in Houston, TX in 1984. During her tenure, Teresa has managed properties and portfolios across Arkansas, Oklahoma, and Texas. Awarded “Manager of the Year” by the Arkansas Apartment Association (AAA) in 2003, she served as an Executive officer with AAA from 2004-2006, and as Chairperson on the Board of Directors for the Managers Council. With an “ownership” mentality and a passion for maintaining the highest standards in our industry, she initiated the contract with Grace Hill Essential Multifamily Education Online Studies in 2013—which now empowers all CVP employees. Teresa is a natural fit for the Regional Management position and works directly with her property teams to reach CVP’s ever-changing goals with a focus on cost containment which results in higher returns for our investors. Her enthusiasm for our industry and CVP is seen in her positive attitude and consistent results.